District 5 Heroes – District 5 United! LIKE us on Facebook if you like improving the quality of life in East San Jose or you know an everyday hero! The “District 5 Heroes” event allows the East San Jose community to celebrate our everyday heroes. We’re sharing everyday hero stories provided by community members just like you. 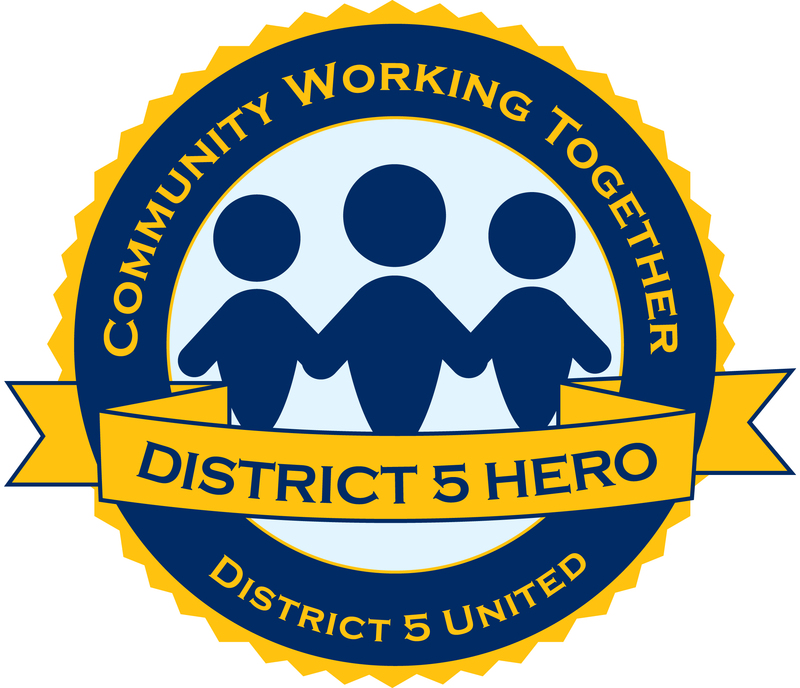 District 5 United will next celebrate and recognize our local heroes on September 26, 2018. District 5 United celebrates the accomplishments and good work that is happening all around our community. Click here to nominate your hero. Made a difference in your life or those of others. Made a contribution to the community or their neighborhood via a specific action/activity. Made a lasting difference over a long period of time. All nominated heroes will be notified and a handful of heroes will receive special recognition from District 5 United. Nomination Guidelines: A person is not able to nominate themselves. Other than that, anyone can nominate anyone they choose. Nominations will be posted online as they are received.